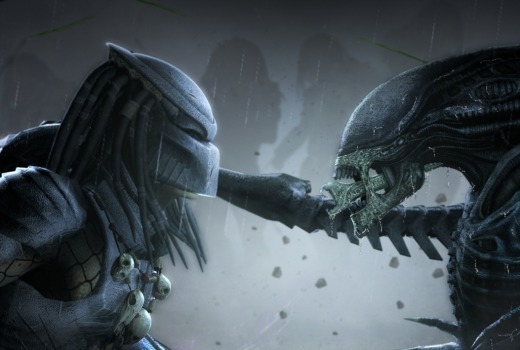 The next Foxtel Movies pop-up channel will feature 10 Alien and Predator movies over 4 days. The Alien vs Predator channel will be available on channel 400 to Foxtel Movies and Foxtel Platinum subscribers, from 6.00am on Friday, May 12 through to Monday, May 15. In a remote region of the galaxy, the United States space tug Nostromo are awakened from their hypersleep chambers when Mother, the on-board computer, monitors a strange transmission. According to company law, the crew must investigate any signal indicating possible intelligent life. What begins as a routine search mission quickly escalates into a nightmare of unimaginable terror when the crew discovers and brings aboard an extra-terrestrial life form. Ripley is the only survivor from mankind’s first encounter with the monstrous alien. Her account of the alien and the fate of her crew are received with scepticism, until the mysterious disappearance of colonists on LV-426 lead her to join a team of high-tech colonial marines sent in to investigate. Officer Ripley finds herself stranded on a remote planet inhabited by vicious ex-convicts armed with only their wits to fight the deadly alien creature. An unholy combination of human and alien genetics is discovered, made possible by an alliance between a renegade band of smugglers and a zealous cadre of scientists and officials. Ripley is back, and all is not what it seems. To combat the alien menace, Ripley must team up with the smugglers, including an enigmatic mechanic named Call, who may be the instrument of Ripley’s resurrection or the weapon of her destruction. A thrilling journey to the farthest corners of the universe sees a team of explorers discover a clue to the origins of mankind on Earth. There, they must fight a terrifying battle to save the future of the human race. Major Dutch Schaefer (Arnold Schwarzenegger) is the leader of a military rescue unit looking for allies captured by guerrillas in the Latin American jungle. But when Schaefer attempts to lead his unit out, with a captured guerrilla in tow, something horrifying and inexplicable begins to happen: one-by-one the men are killed by a mysterious adversary – a predator from another world. This electrifying sequel unleashes the deadly predator in an urban jungle: Los Angeles. A police chief is tracking an alien who hunts humans for sport. Arnie took on the Predator in the jungle and Sigourney fought the Alien in outer space. Now two of the most blood-thirsty species in movie history engage in the ultimate battle in frozen Antarctica. After a horrifying Alien Crash landing near a small Colorado town, it’s an all-out battle to the death with no rules, no mercy and hundreds of innocent people caught in the crossfire.